NissanThe Nissan Qashqai sold in the US as the Rogue Sport. 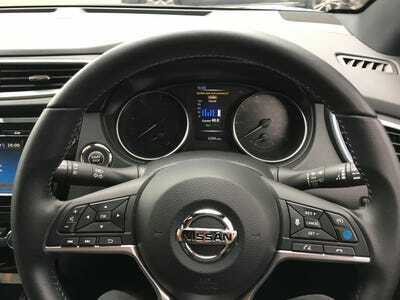 The Nissan Qashqai is one of the most popular subcompact crossover SUVs in the world. In Europe, it’s Nissan’s most popular model by a wide margin. 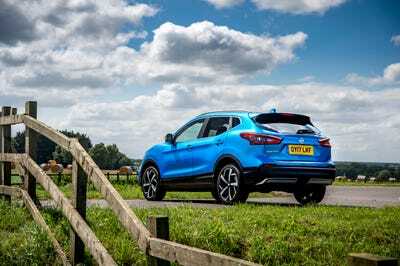 The Qashqai is sold in the US as the Rogue Sport. Its rivals in the market include the Honda HR-V, Toyota CH-R, Mazda CX-3, and Hyundai Kona. In March, we drove a Rogue Sport in the US and found it to be a pleasant vehicle, but underpowered. 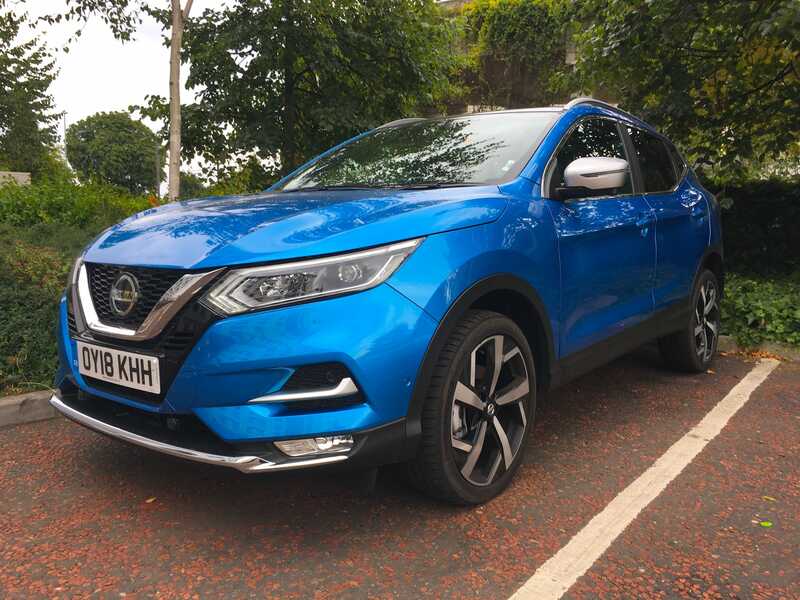 Over the summer, we drove a 2018 Qashqai diesel that really impressed us with its strong performance and driving dynamics. 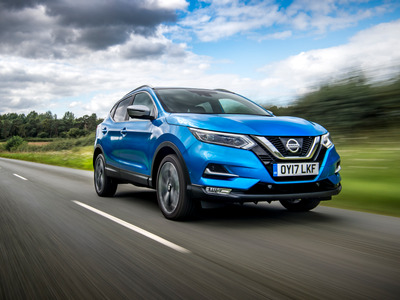 In the UK, the Nissan Qashqai starts at £19,300 while the US Rogue Sports starts $US22,110. Pronounced Kash kai, the subcompact crossover SUV has long been both a sales and critical success in the UK and Europe. 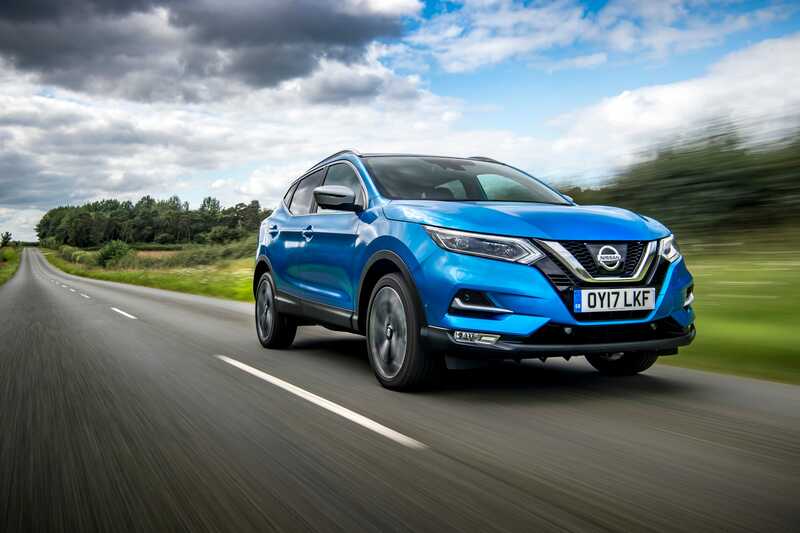 In October, Qashqai was not only Nissan’s top-selling vehicle in Europe, but it also out-sold the brand’s next three most popular models combined. The Qashqai is named after the nomadic Qashqai people of Iran. After years of waiting, Nissan finally brought the second generation Qashqai to the US in 2017 as the Rogue Sport. 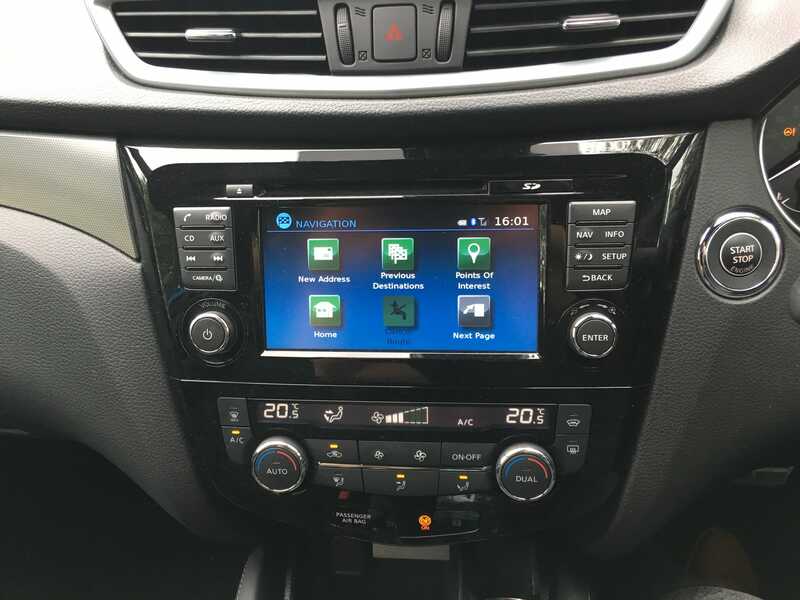 And, it’s certainly been a major help to Nissan’s bottom line, helping the Rogue family of crossovers reach 215,000 units sold over the first half of 2018. That’s up 10% over the same period last year. Read more: We drove a $US30,000 Hyundai Kona SUV to see if it’s ready to compete against Jeep, Honda, and Toyota. Here’s the verdict. 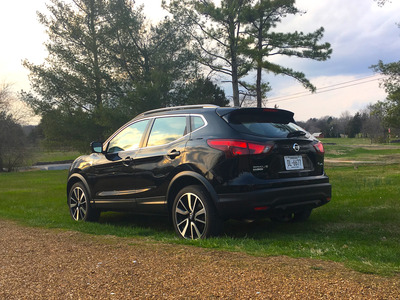 In March, I spent a few days behind the wheel of a new Rogue Sport on the roads around Nashville, Tennessee, not far from Nissan’s North American headquarters. Unfortunately, the Rogue Sport’s 2.0-litre naturally aspirated four-cylinder engine proved to be woefully underwhelming. The little four-cylinder just didn’t have to grunt to haul around the 3,400-pound crossover. Over the summer, Nissan let us borrow a diesel-powered 2018 Qashqai Pilot One Edition in the UK. The base Qashqai starts at £19,300 or $US24,380 while our top-of-the-line test car carried an as-tested price of £34,170 or $US43,163. In the US, base Rogue Sport starts at $US22,110 while our SL AWD test car cost $US31,380. In March, I spent time with a new Nissan Rogue Sport in Nashville, Tennessee. Overall, I really enjoyed the Rogue Sport. “It’s got quite a lot going for it. 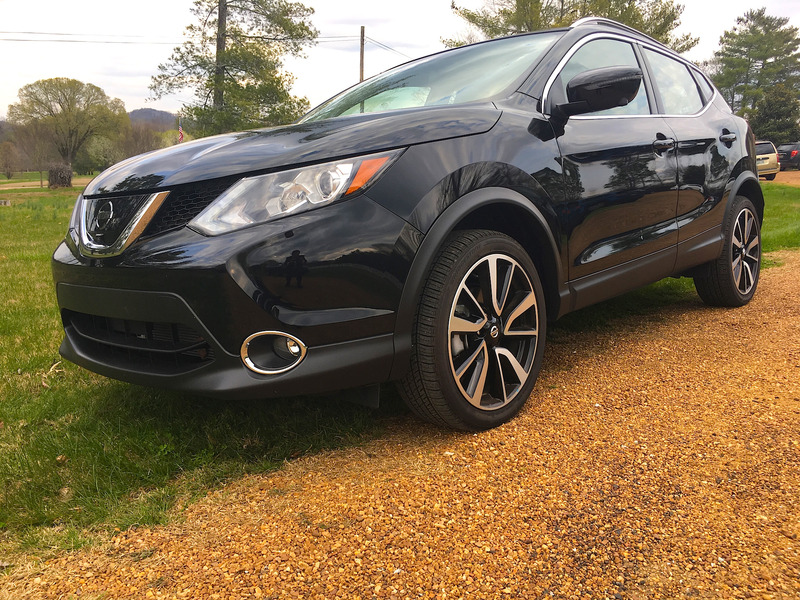 It looks great, it’s got plenty of room, it’s comfortable, it’s loaded with tech, and it all comes at a very reasonable price,” I wrote in my review of the Rogue Sport. 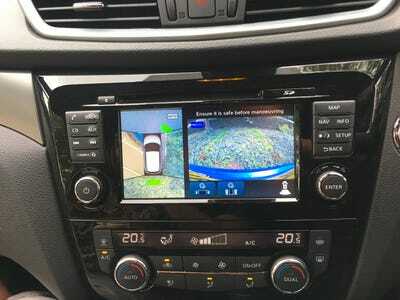 Unfortunately, its little 141 horsepower four-cylinder engine and continuously variable transmission proved to be an “anemic” duo that sapped the joy from the driving experience. Sadly, the result is a crossover that’s “loud, wheezy, and gets worse fuel economy than the big brother Rogue,” I added. 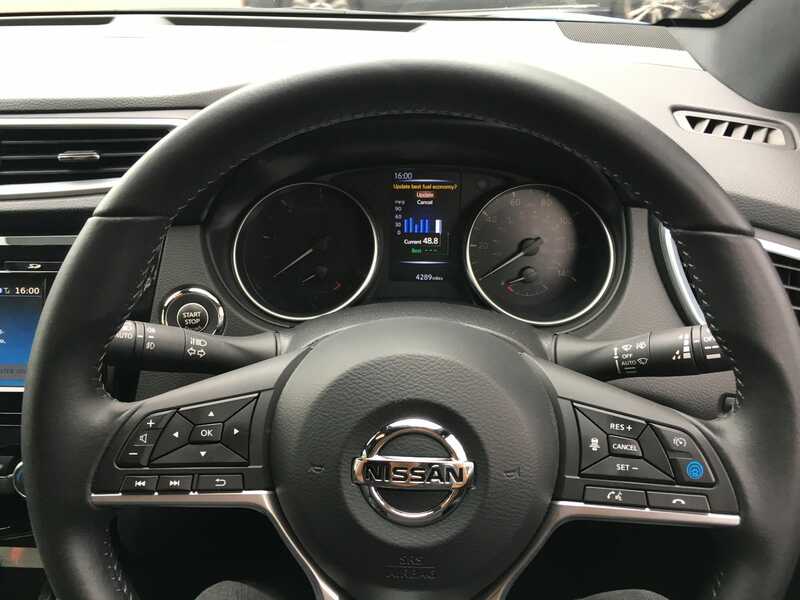 Fast forward a couple months and I found myself four thousand miles away in England behind the wheel of a 2018 Nissan Qashqai. Our test car is a special Pilot One Edition. 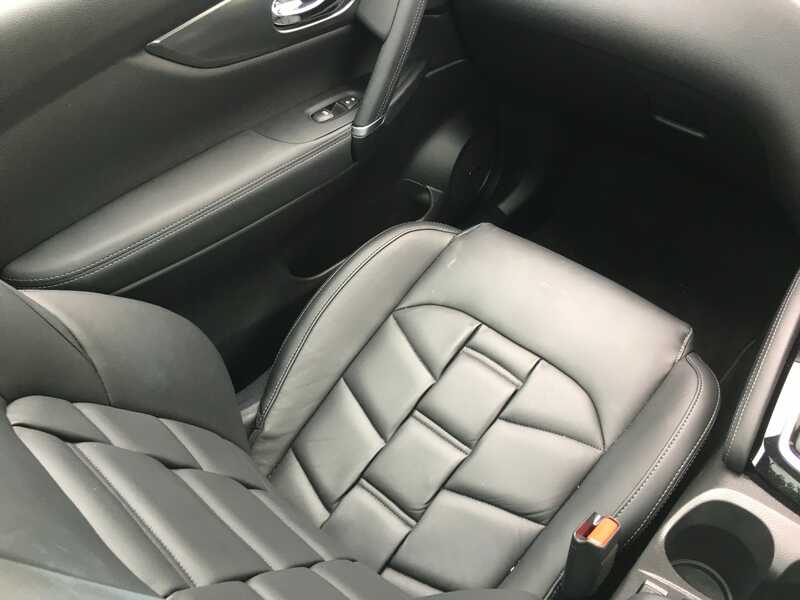 … A panoramic glass roof. 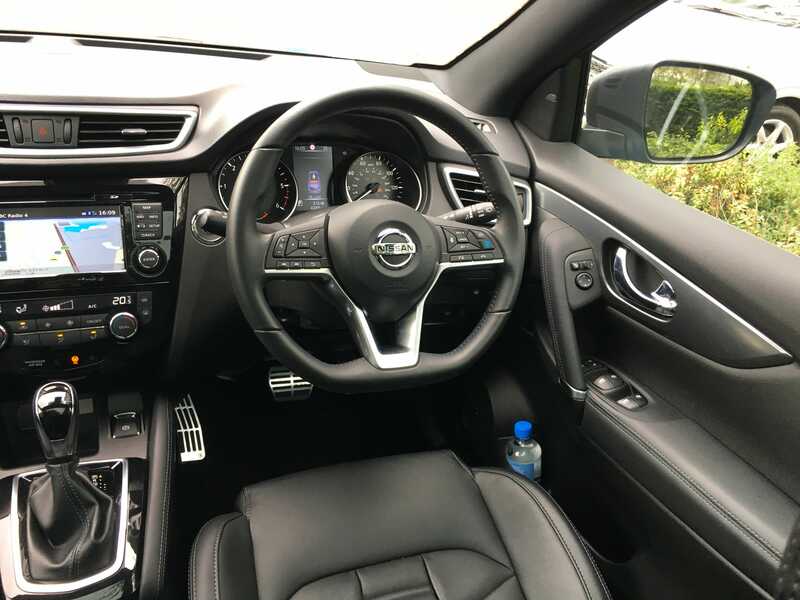 The Qashqai was also equipped with Nissan ProPilot Assist semi-autonomous driving tech that made the long drives between London and the west of England much less taxing. ProPilot Assist is expected to be available on the Rogue Sport by the end of the year. 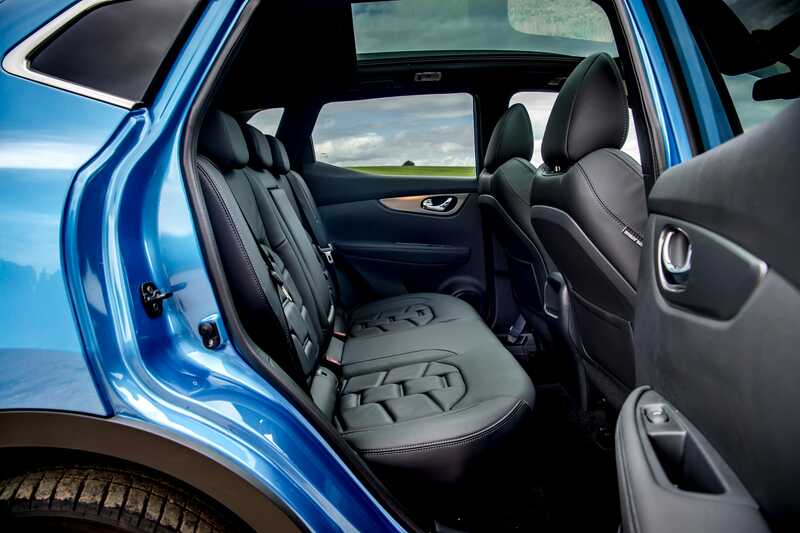 Apart from the fancy quilted leather on the seats, panoramic sunroof, and ProPilot Assist, the Qashqai is virtually identical to the Rogue Sport. But the biggest difference is what is found under the hood. Or as the Brits call it, a bonnet. In the US, the only engine available is the 141 hp, gasoline-powered inline four banger. In the UK, the Qashqai can be had with one of four engines; two gasoline and two diesel. 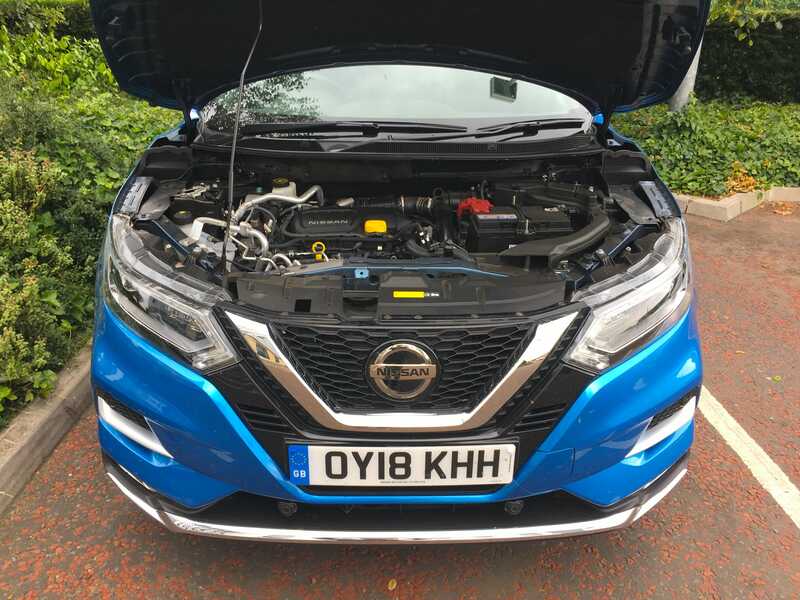 Our test car came equipped with the top-spec 1.6-litre diesel that produces 130 horsepower and more importantly, 236 pounds-feet of torque sending power to the front wheels through the same Xtronic CVT found in the Rogue Sport. 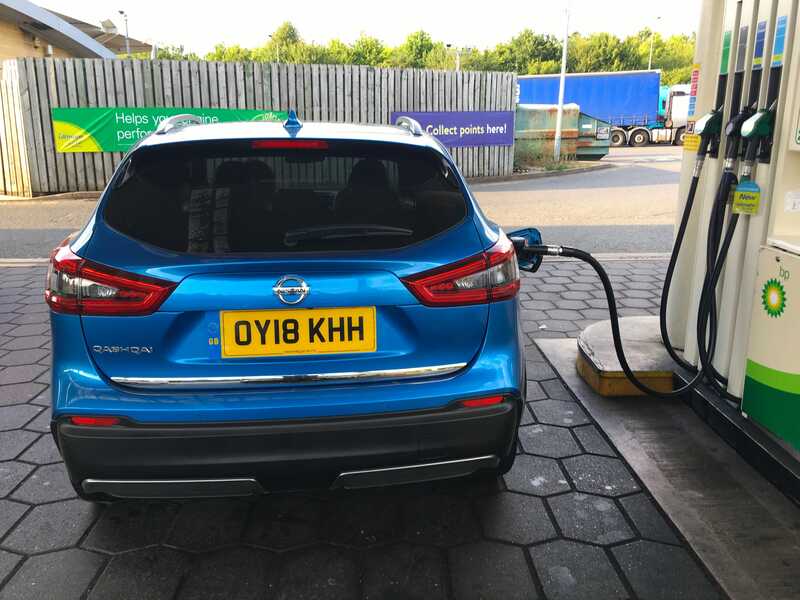 According to Nissan, our Qashqai should return 60 mpg of combined fuel economy. However, we were only able to achieve about 50 mpg. Although to be fair, we were fairly generous with the accelerator. 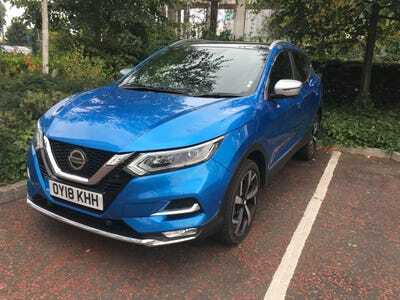 The Nissan Qashqai is a revelation! It’s nothing short of amazing. The torquey diesel felt gutsy and eager. Power delivery was smooth and consistent. Unlike, the Rogue Sport, the Qashqai took on motorway on-ramps with great zeal. The low-end grunt of the diesel more than makes up for the power-sapping nature of the CVT. Like the Rogue Sport, the Qashqai drives really well. 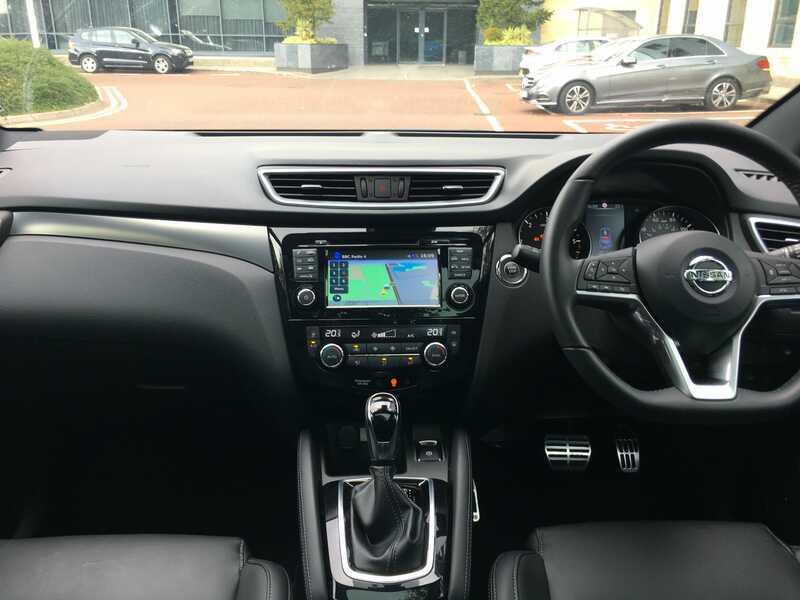 It handles everything from winding country roads in the South of England to the motorways connecting the country’s industrial centres like a true pro. Its ride was compliant, but far from wallowy while its handling was tight and well tuned. 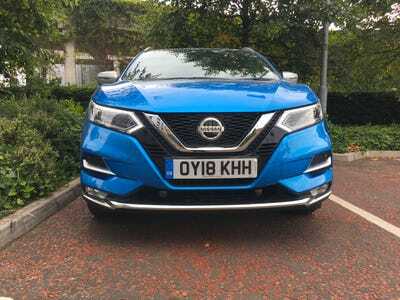 It becomes apparent even after a few short hours with the Nissan Qashqai why it’s so darn popular with buyers in Europe. 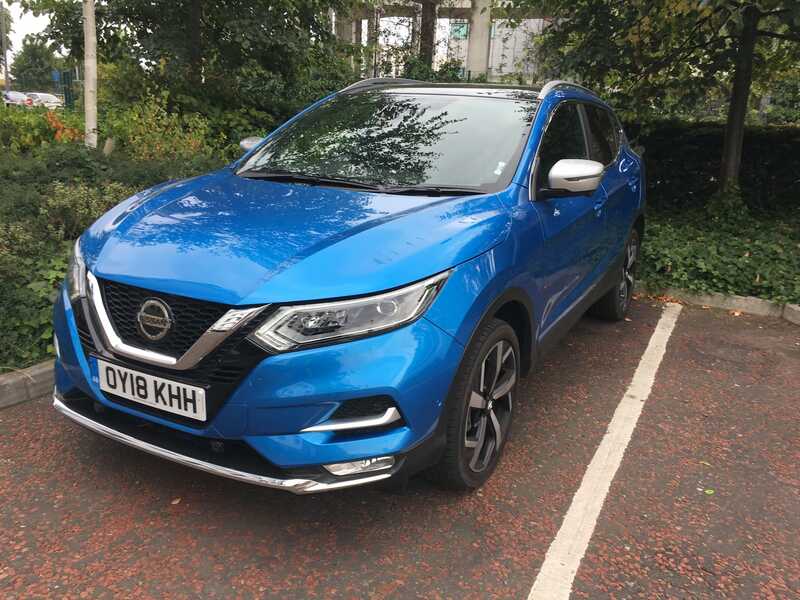 Like its US sibling, the Qashqai looks great, it’s got plenty of room, it’s comfortable, it’s loaded with tech, and it all comes at a very reasonable price. But the diesel engine option is what really brings it to life and puts to rest my one and only gripe about the car. Sadly, it’s highly unlikely we’ll see the diesel in the US. The Volkswagen diesel emissions cheating scandal sunk that boat a couple of years ago. Even though some manufacturers like Jaguar Land Rover still offer diesel passenger cars, the genre is pretty much dead and buried for the time being in the US. Which is a real shame because if Nissan sold a diesel Rogue Sport in the US, I’d buy one today.